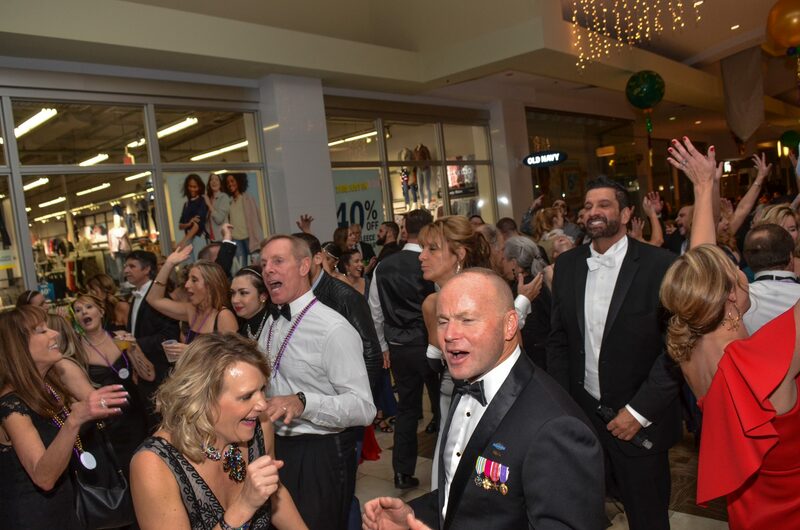 The halls of Cordova Mall were packed with thousands of people Saturday night, but they weren’t shoppers seeking out bargains. 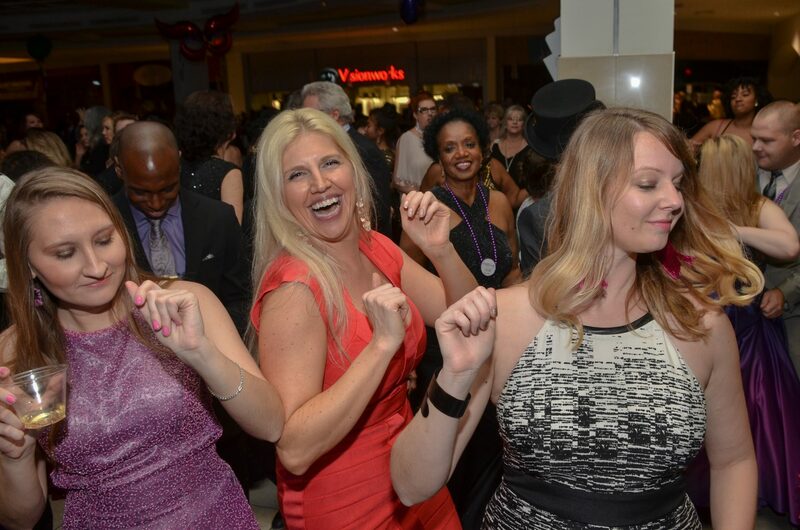 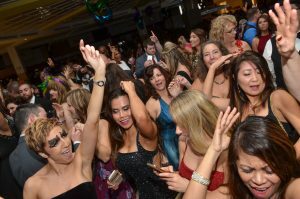 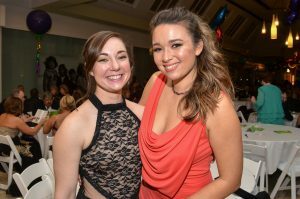 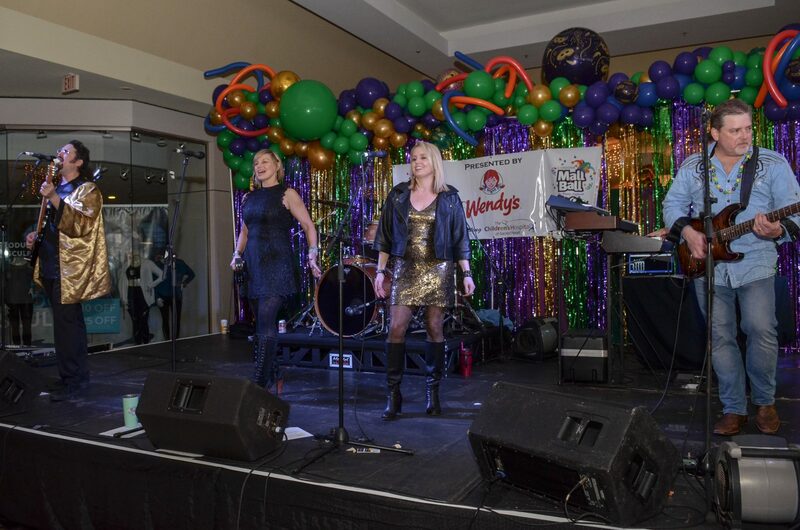 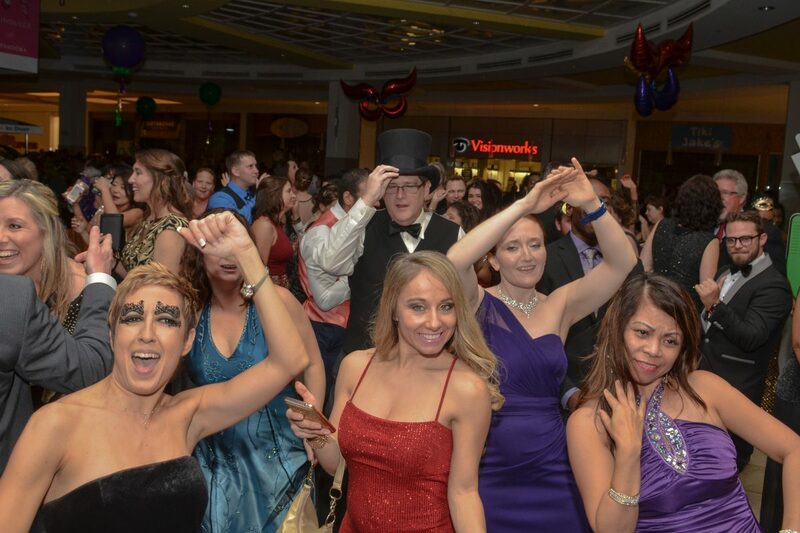 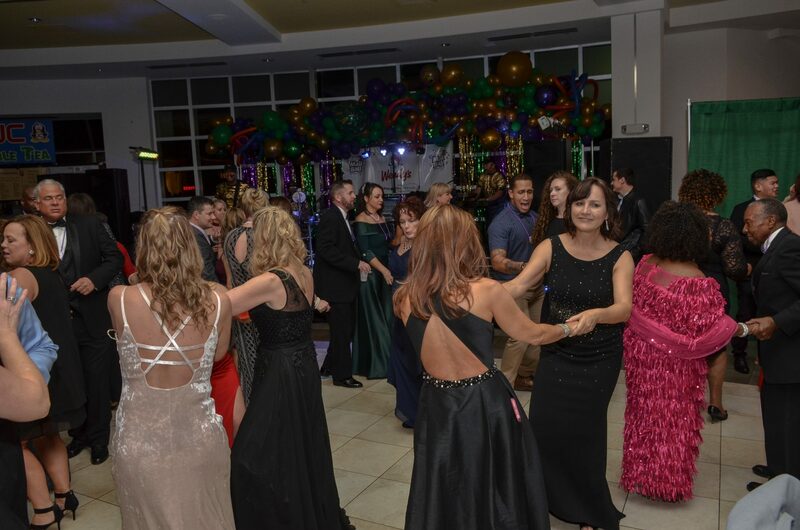 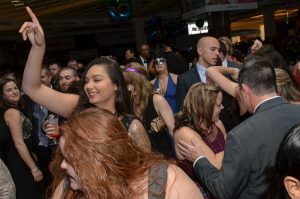 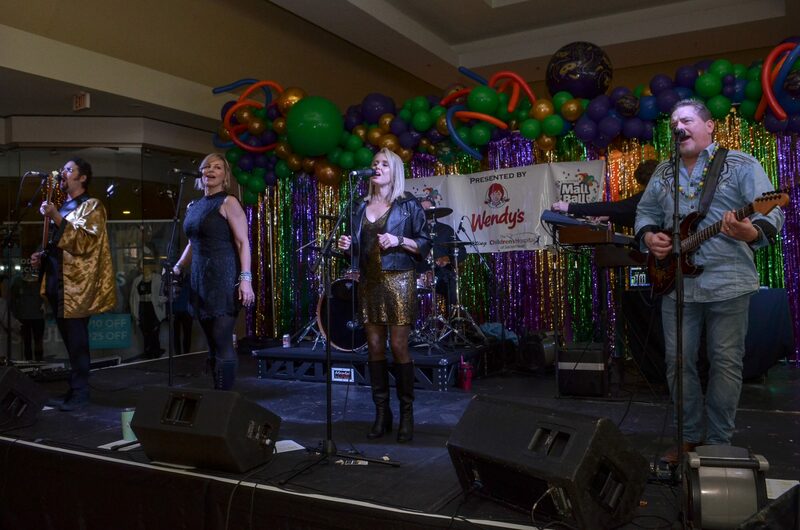 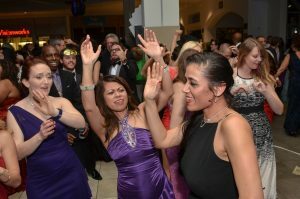 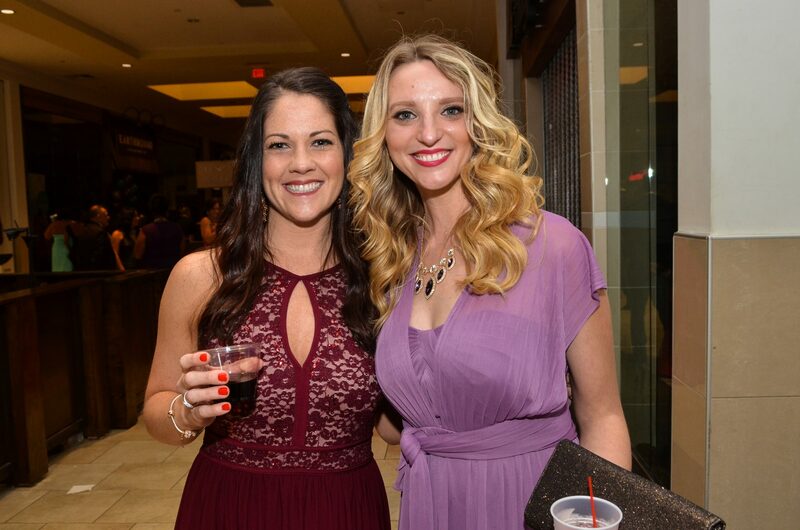 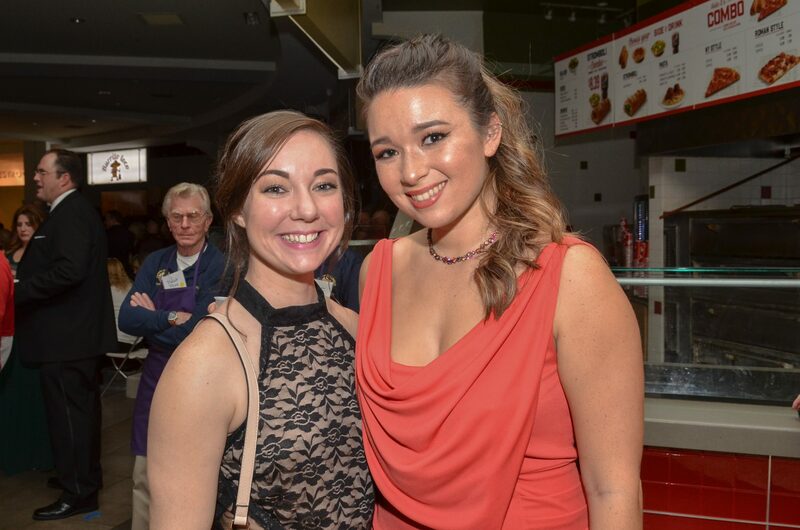 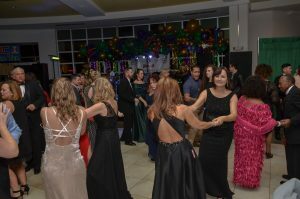 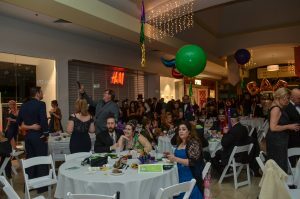 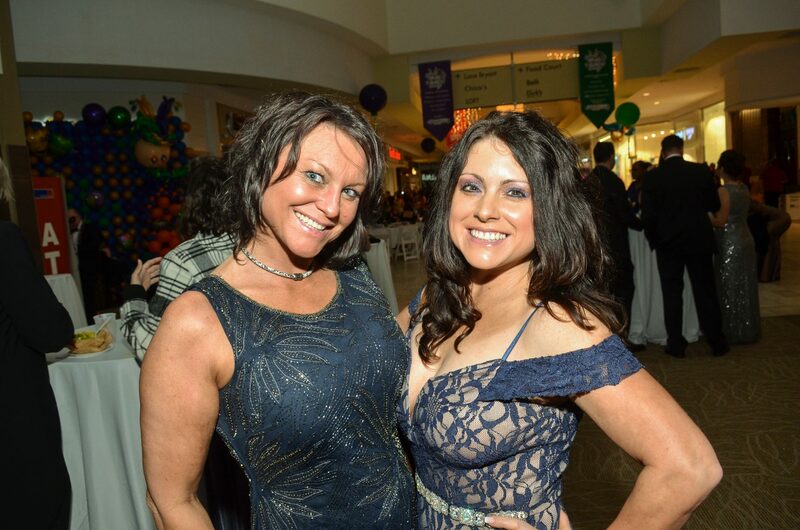 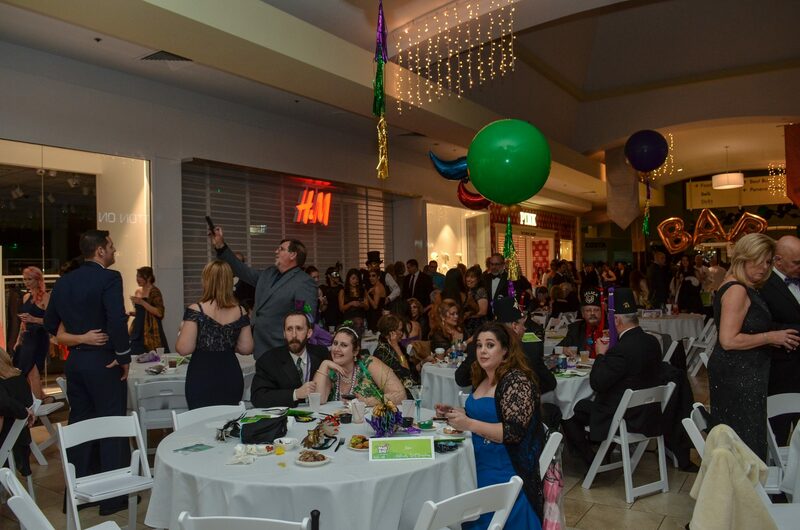 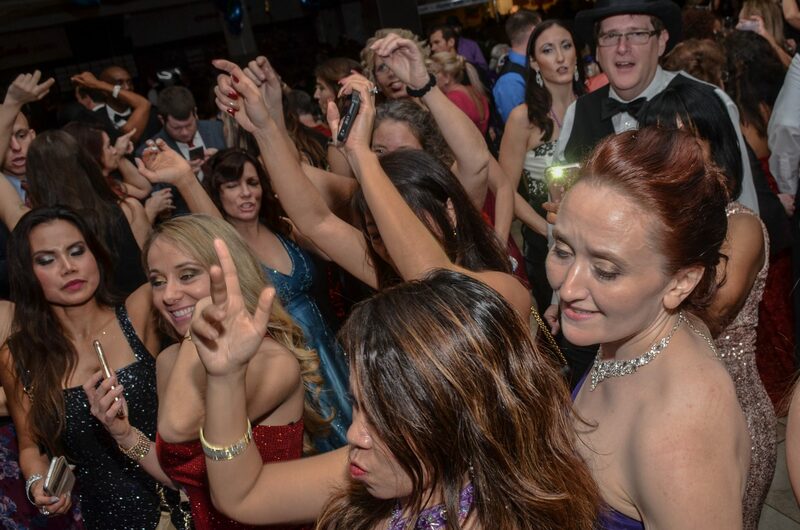 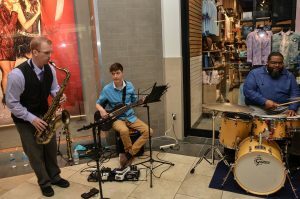 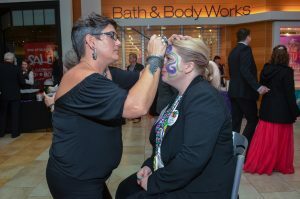 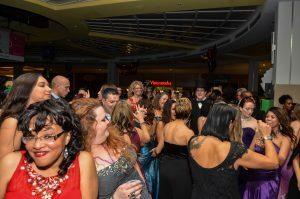 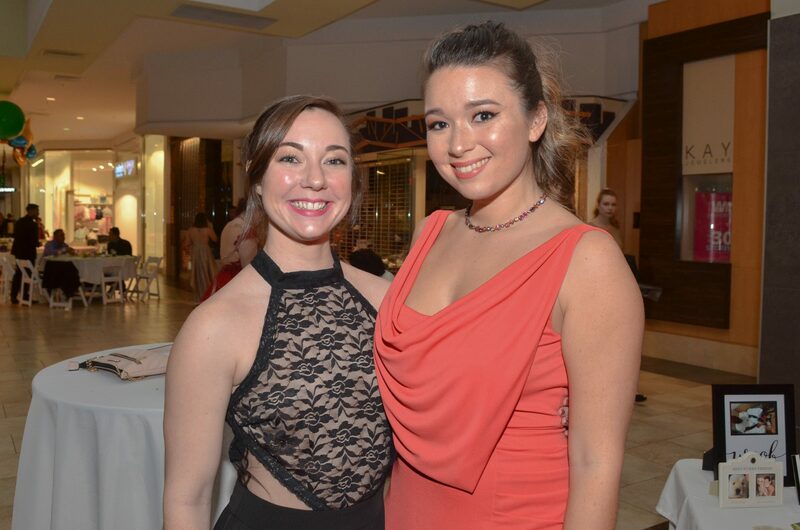 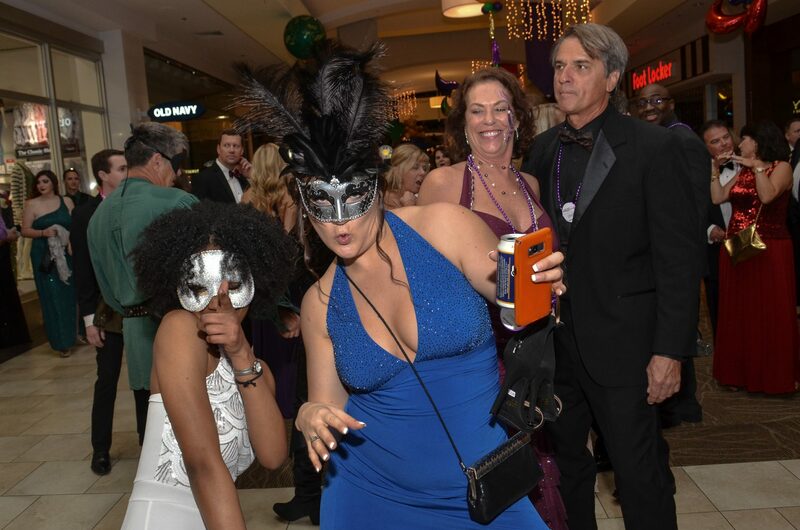 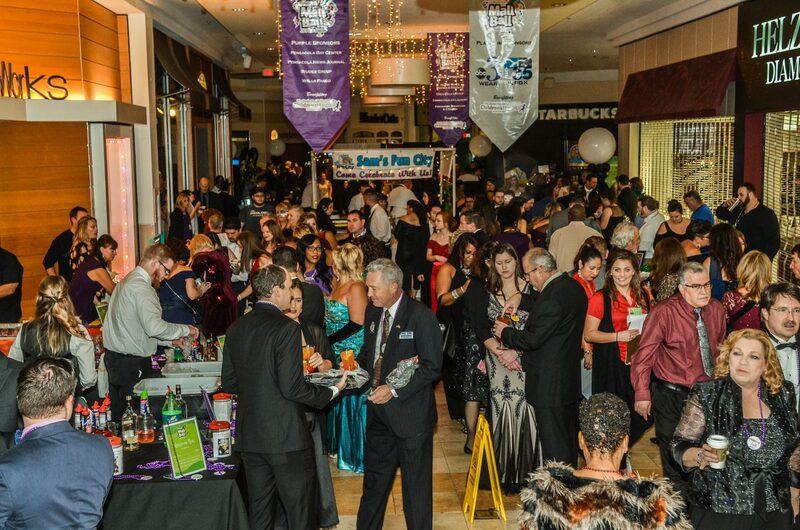 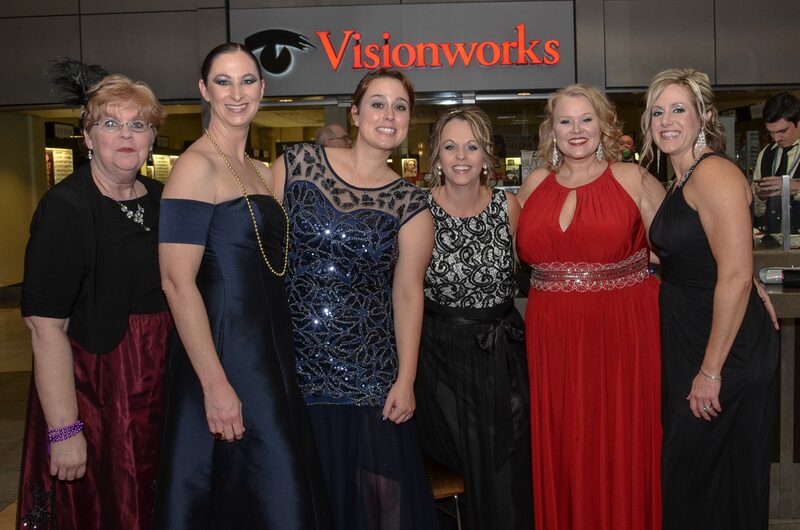 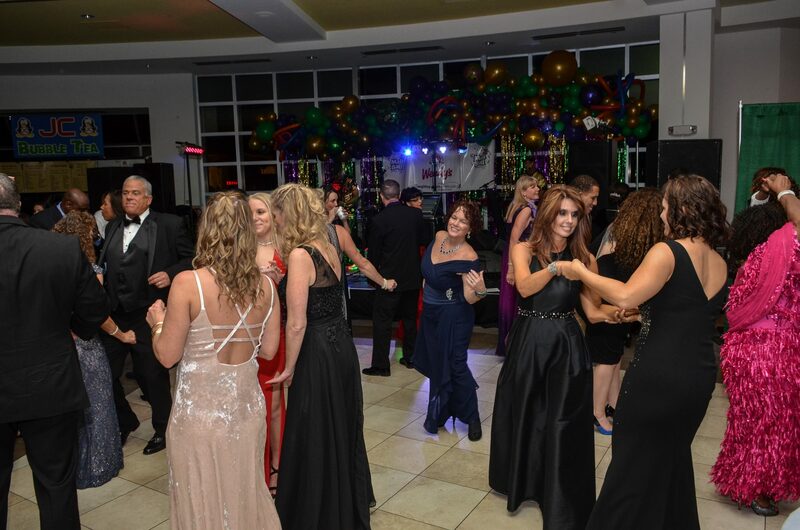 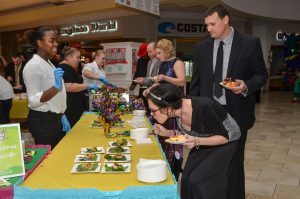 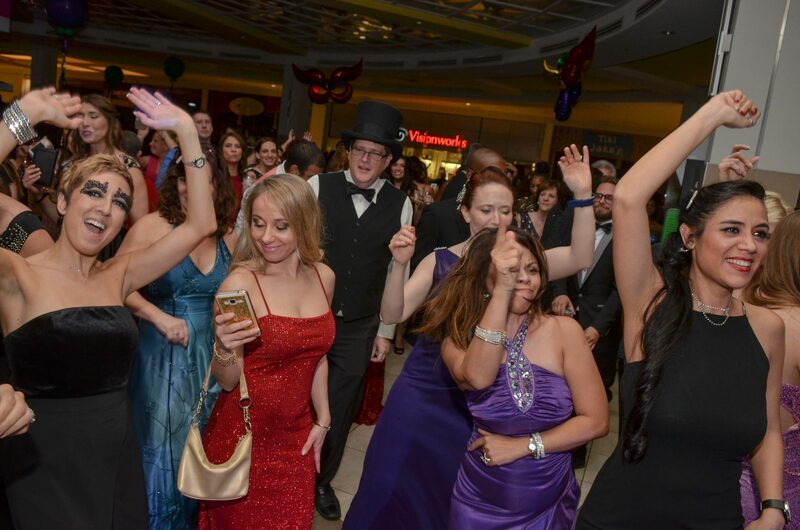 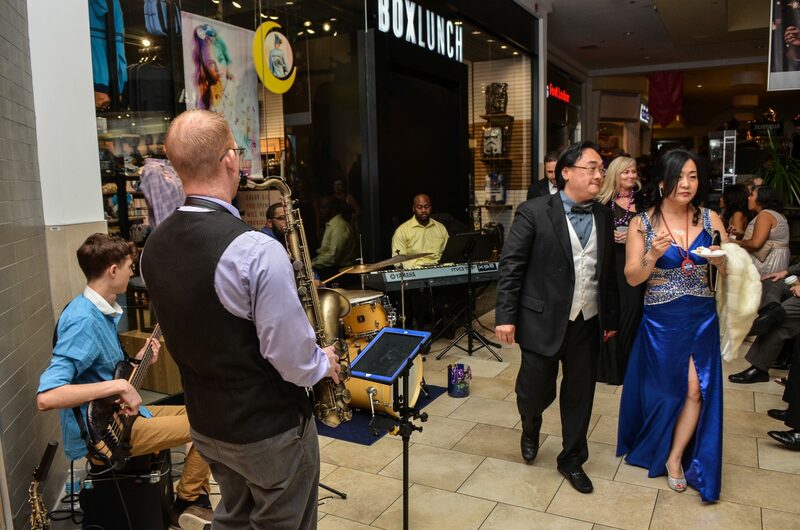 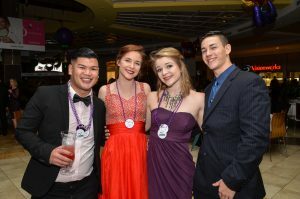 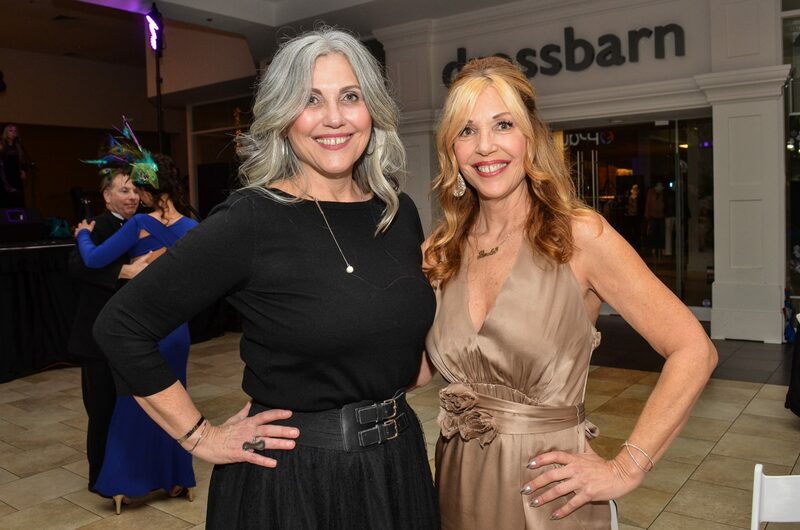 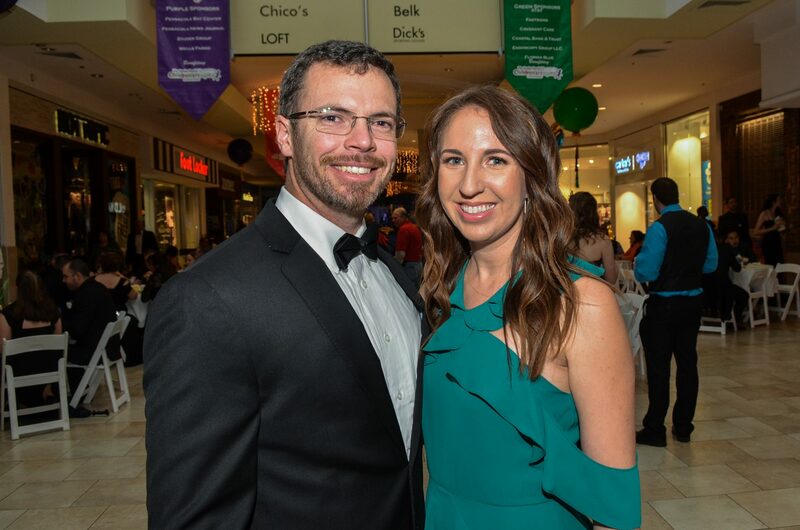 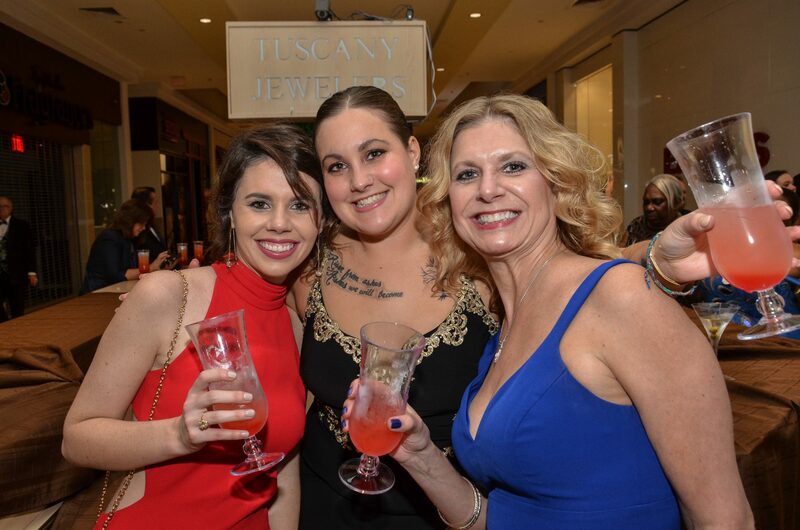 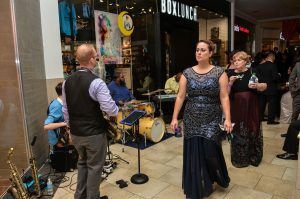 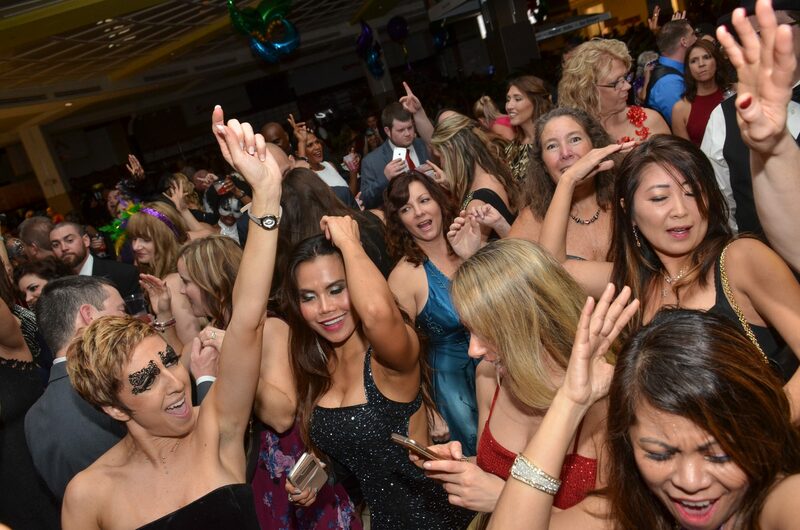 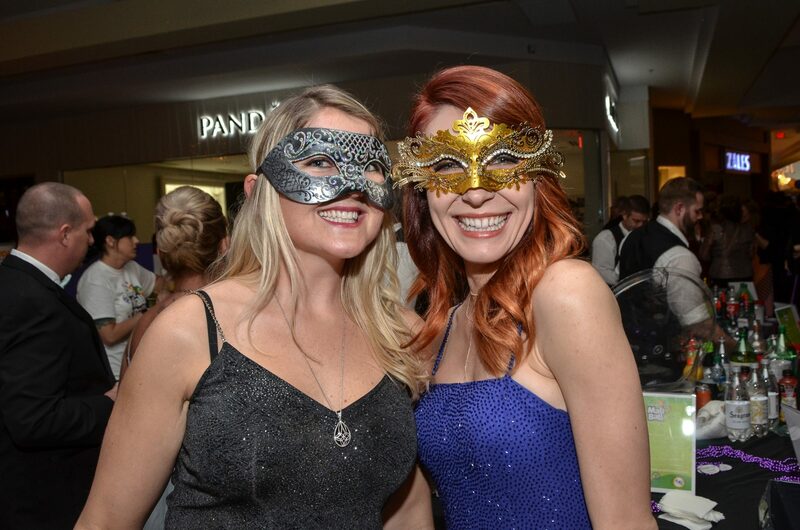 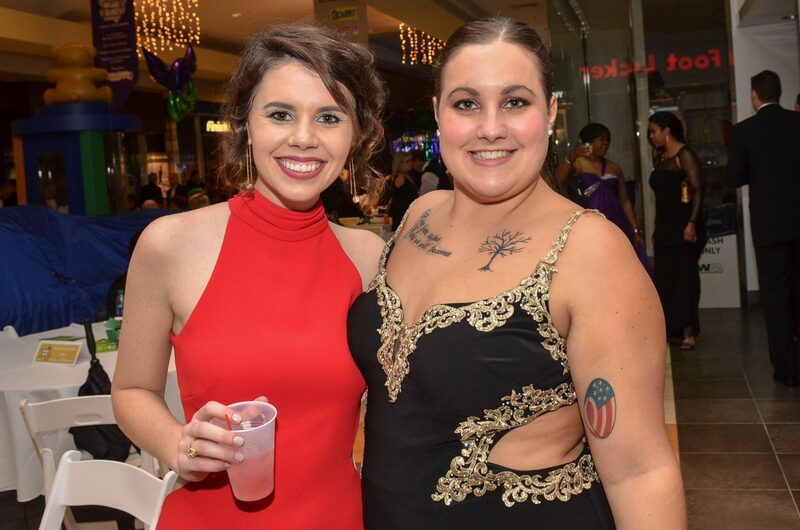 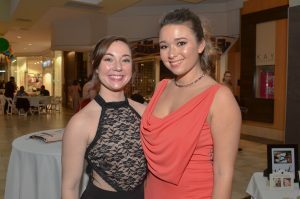 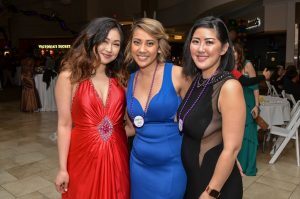 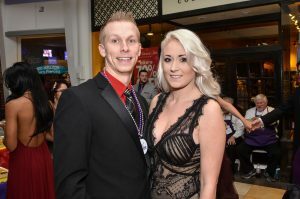 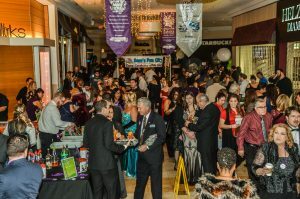 The annual Cordova Mall Ball isn’t just the area’s largest Mardi Gras ball — in terms of attendance and area, taking over virtually all of the mall’s public space. 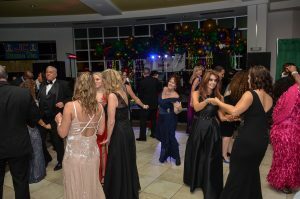 It’s also one of the Pensacola area’s largest fundraisers, supporting the Studer Family Children’s Hospital at Sacred Heart. 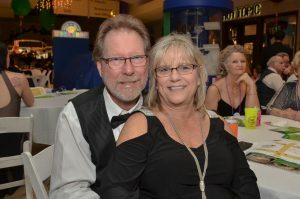 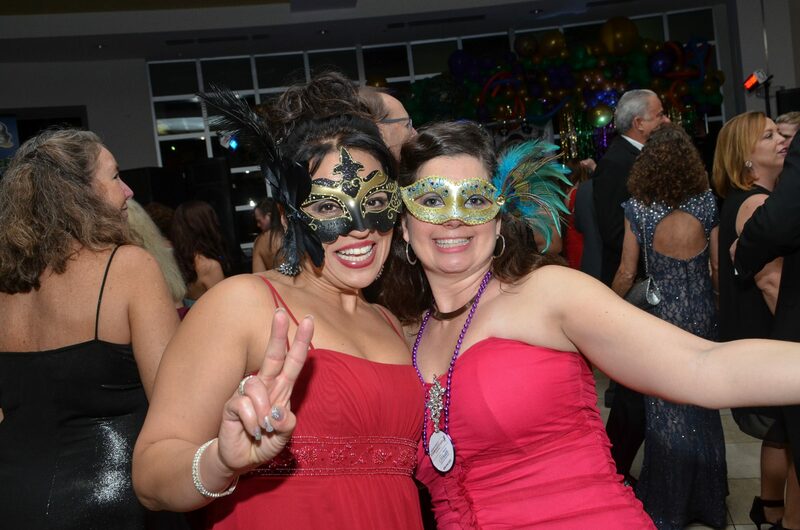 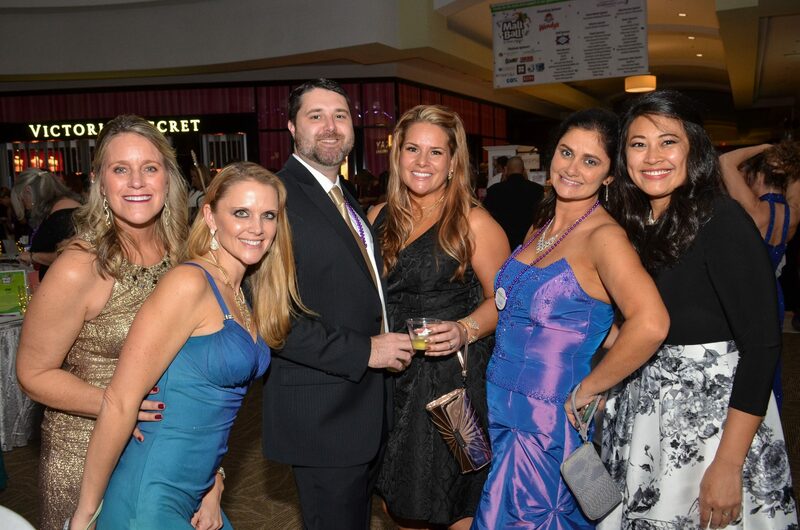 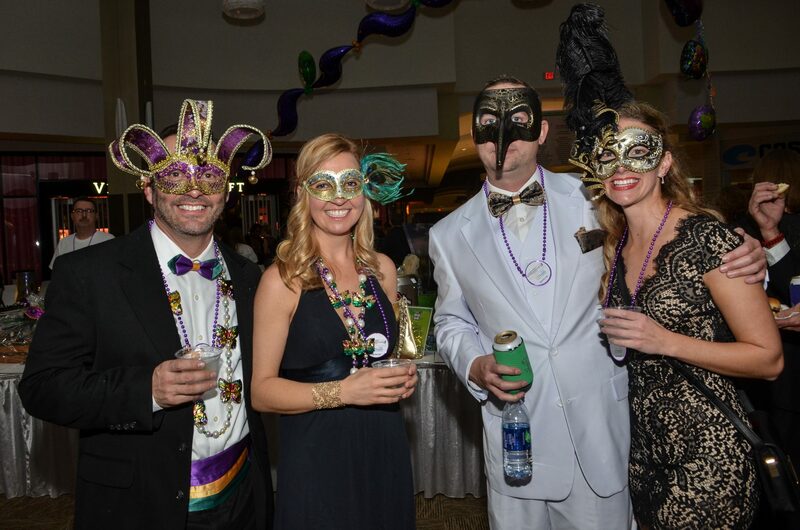 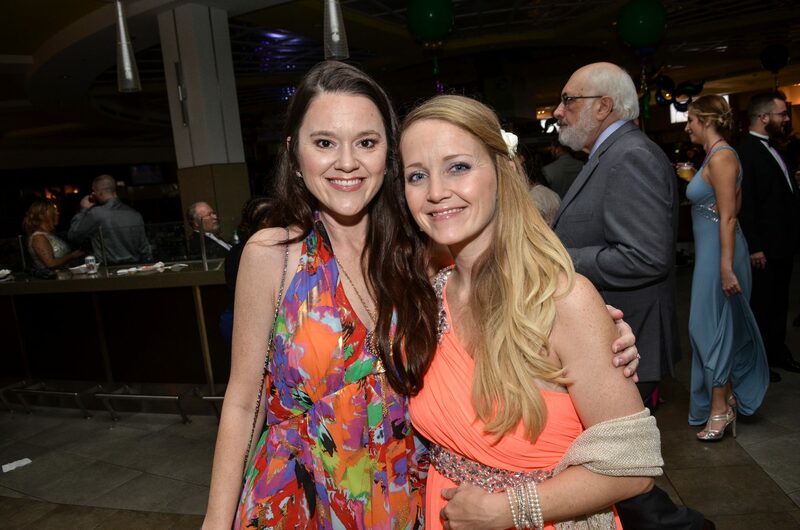 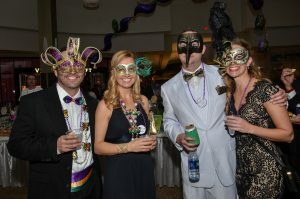 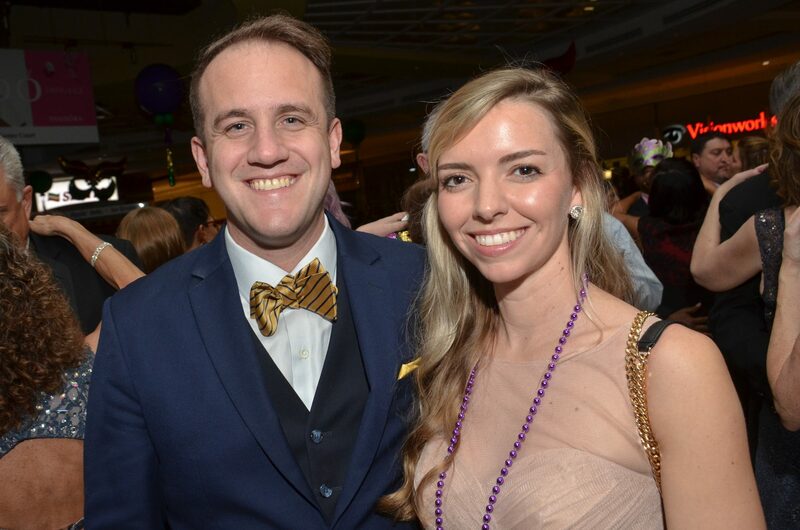 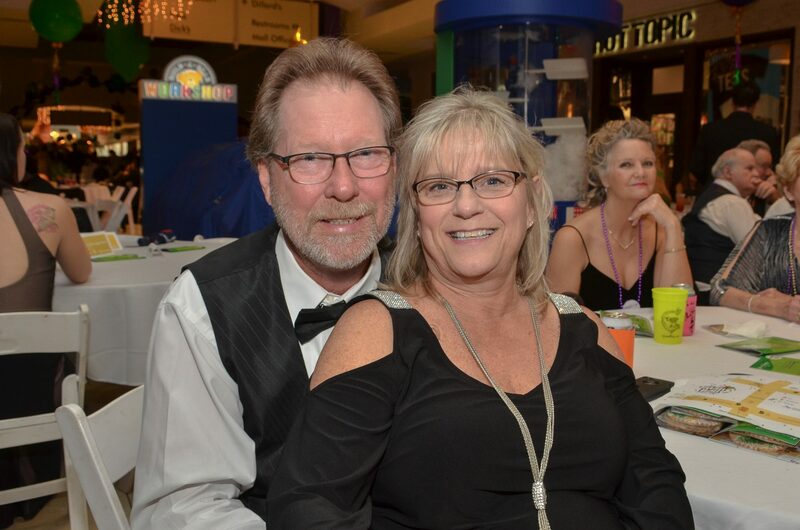 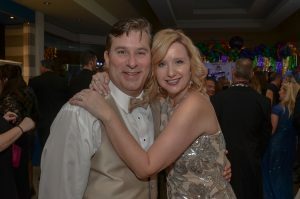 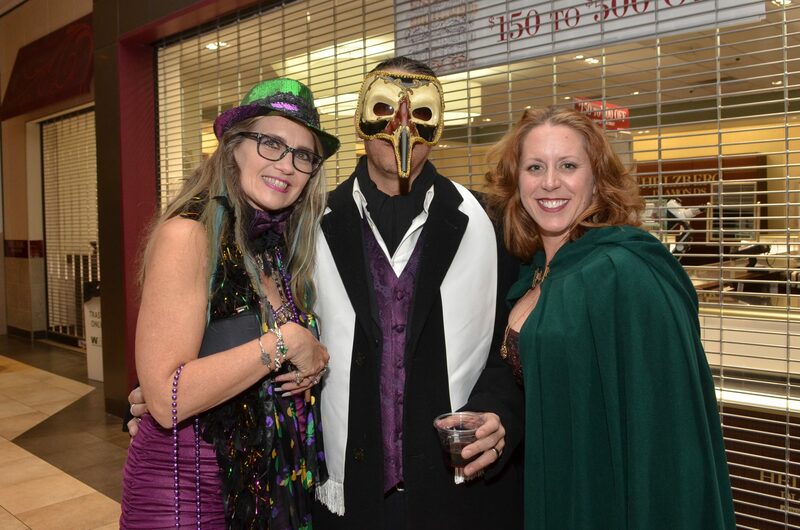 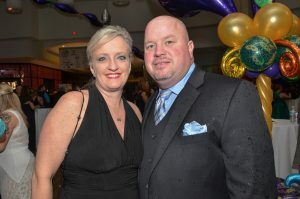 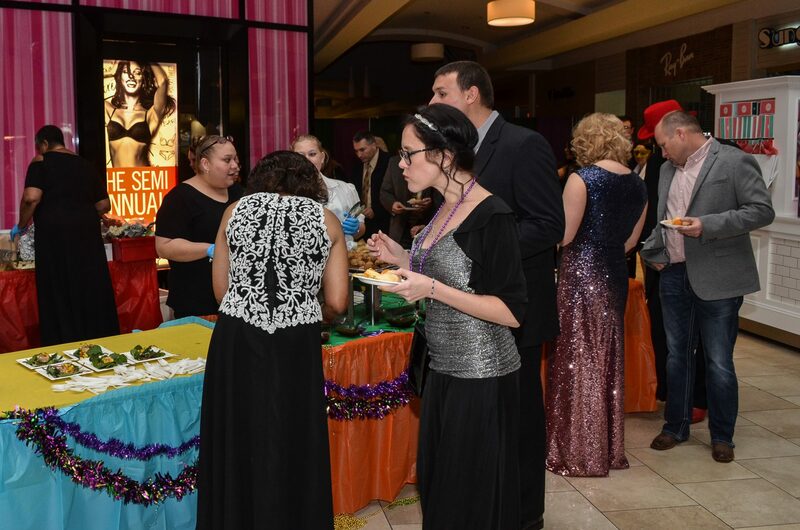 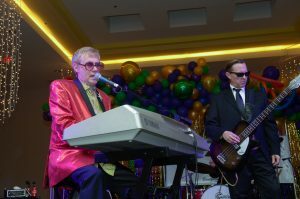 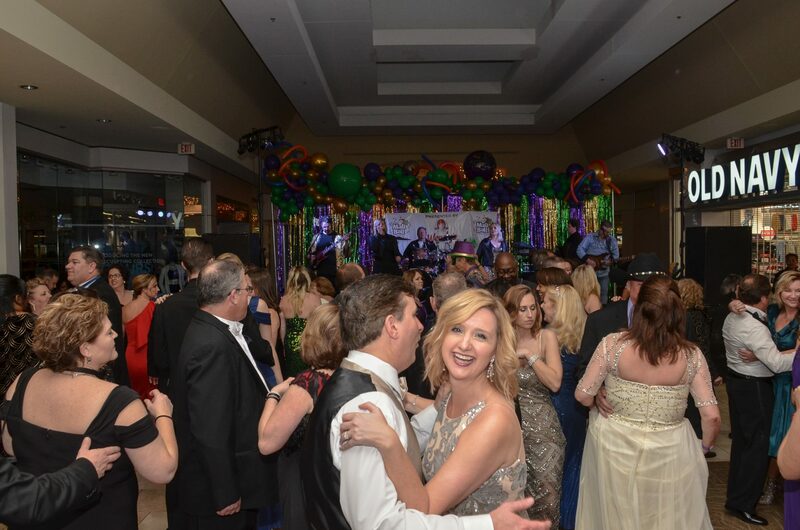 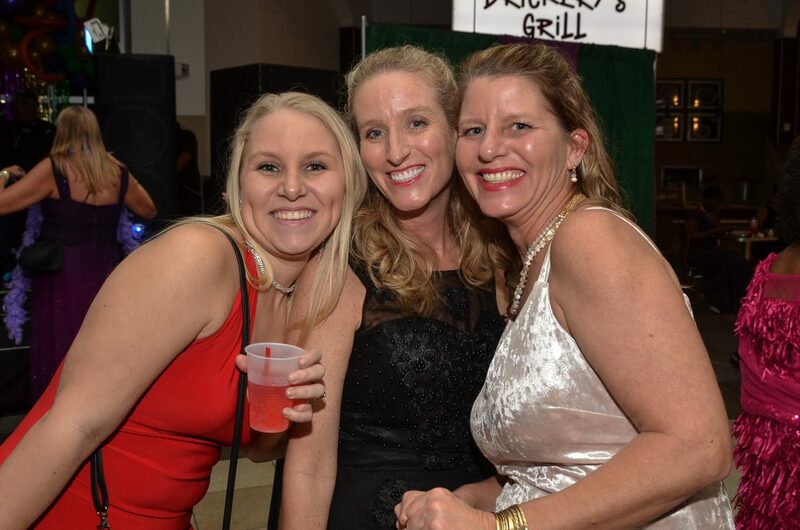 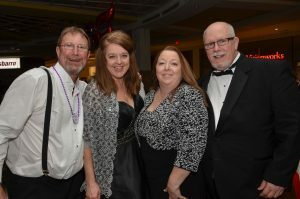 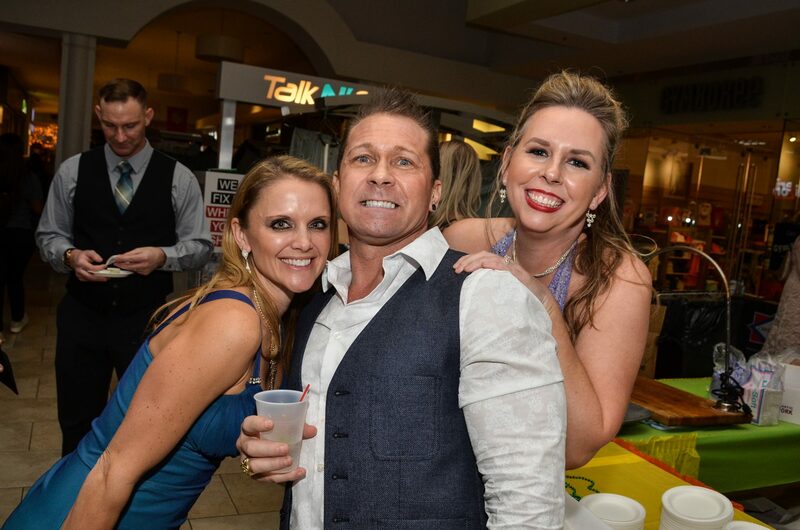 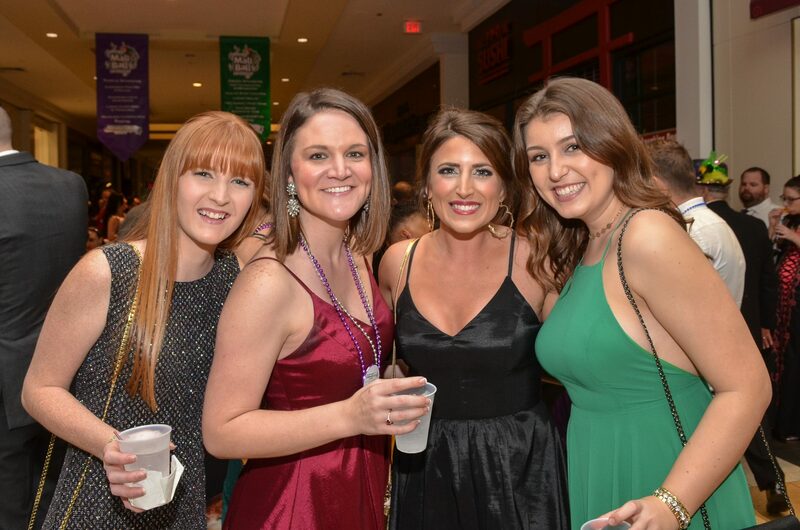 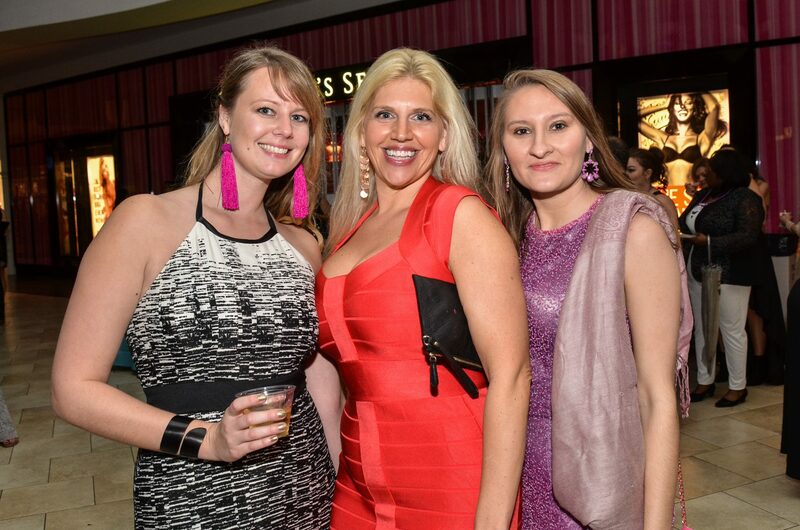 Organizers with the Krewe of Les Petits Enfants (the Order of the Small Children) and the Sacred Heart Foundation go all out to throw one of Pensacola’s biggest and best parties. 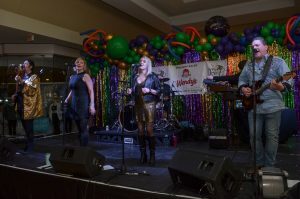 The evening featured live music from three bands — R&B, funk and Motown from Starz; ’80s classics from The Astronauts; and Elton John tribute band Still Standing — and delicious food from dozens of area restaurants, as well as silent auctions and a thriving French market featuring Mardi Gras items, face painting and a jazz combo. 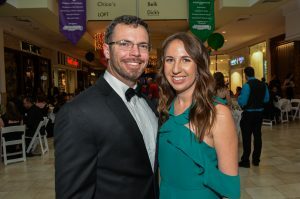 Proceeds from this year’s event are part of a five-year campaign to purchase the region’s fastest pediatric CT scanner, able to compete scans in less than two second and eliminating the need to sedate patients. 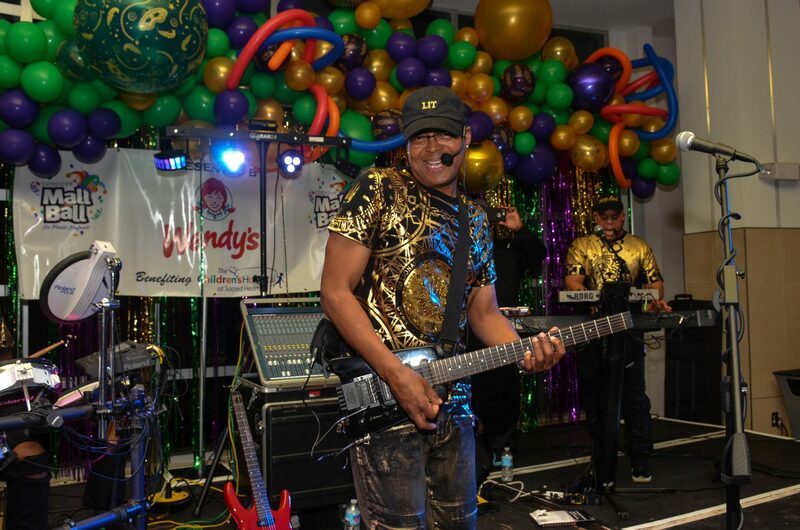 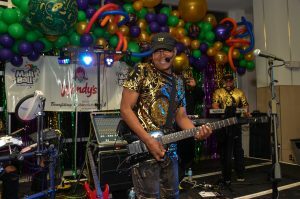 It’s an important addition to the community services provided by the Children’s Hospital, and the fact that it comes from a good time for thousands of people is the icing on the King Cake.